Find out what causes toe cramps and learn simple ways you can help relieve muscle cramping and prevent future toe spasms. Toe cramps are more than annoying. The sudden involuntary muscle flexing, twisting and twitching can be downright excruciating, especially when it wakes you in the middle of the night and you’re left feeling helpless with flexed, immovable, cramped lower digits. So exactly what causes toe cramps, and what can you do for muscle cramp relief? Can Crystal Healing Help Toe Cramps? Overuse: Most cases of toe cramps are caused by overuse from activities like walking or working out too much, or from wearing uncomfortable shoes that force your feet and toes to flex more than usual. Dehydration: Not getting enough water is also a common cause of toe cramps, as is consuming too much sodium or sweating a lot — both of which can leave you dehydrated. Mineral Deficiency: A lack of potassium, calcium and/or magnesium can lead to frequent toe cramps. Two things that can drastically affect your mineral balance include diet and exercise. 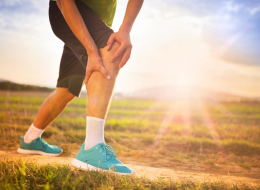 In fact, exercise is often a sneaky culprit that leads to toe cramps: When you work out, you sweat out some of the minerals that your muscles need, and that lack of minerals can lead to painful muscle spasms. Age: Our feet take a beating on a daily basis, and the older we get, the less they’re able to efficiently perform. As adults reach middle age, the foot muscles, nerves, joints and ligaments must strain themselves much harder to support the body. This extra work can cause muscle contractions in the toes. Anxiety: Extreme nervousness, stress and anxiety can greatly alter normal breathing patterns. 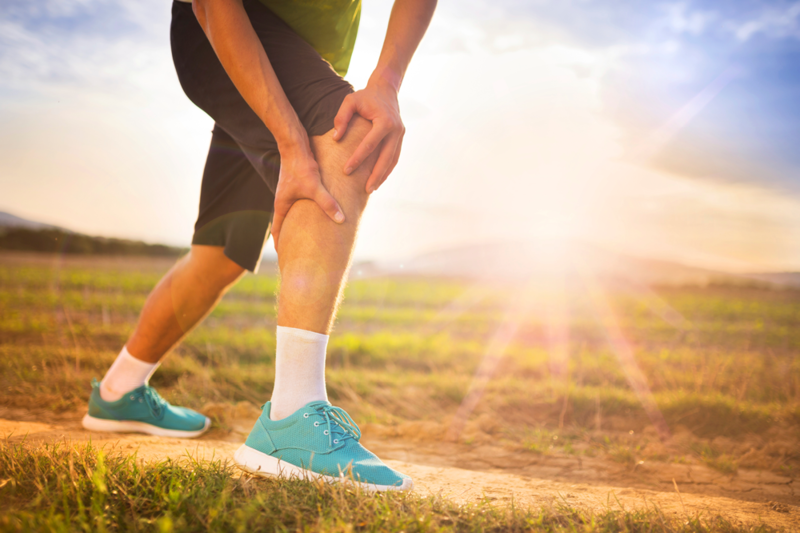 This leads to a lack of oxygen to the muscles, which can cause muscle cramps. Underlying Medical Conditions: If you frequently get toe cramps that are becoming worse over time and none of the above causes of toe cramps apply to you, then you should visit a doctor. Toe cramps can be a symptom of circulatory and central nervous system conditions. Podiatrists recommend that you immediately begin massaging your cramped toes as soon as a muscle spasm hits. You can use gentle or firm pressure, whichever suits you best. It also helps to move and stretch the toes as much as possible to help loosen the sudden onset of tightness. If neither of those methods help, apply a heating pad to the cramped area until the pain subsides (but no longer than 10 to 15 minutes at a time). Wear The Right Shoes: There are many reasons why wearing comfortable, properly fitted footwear is important, toe cramp prevention being one of them. It’s important to find a pair of shoes that don’t squeeze your toes or cause your foot to flex while walking (most sandals and flip flops tend to do the latter, so they should be avoided). It’s also helpful to switch to flats if you frequently wear high heels. Balance Physical Activity: If you exercise too much, you may be putting excessive strain on your feet and toes, which can cause cramping. But if you exercise too little, your feet and toes could be prone to cramping, as well. That’s because movement and physical activity help keep your muscles loose and your circulation strong. Frequently Stretch: Stretching, wiggling and spreading your toes helps keep the muscles loose and limber as well as keep your range of motion in tact. Stay Hydrated And Eat Properly: Getting enough water and minerals is essential in preventing toe cramps, so it’s important that you hydrate throughout the day and eat a diet rich in fruits, vegetables and healthy grains and proteins. Relax With Foot Massages or Foot Soaks: Both foot massages and warm foot soaks can help soothe and relax your foot and toe muscles, which can help eliminate and prevent toe cramps. Learn how to pamper yourself with this detailed guide to homemade foot soaks and this list of foot massage benefits that may shock you.